While I wait for more inspiring content (that is, with WORDS, not with art), let me just share my entry from our PCAGOE March Challenge. The theme was "egg/egg shapes". 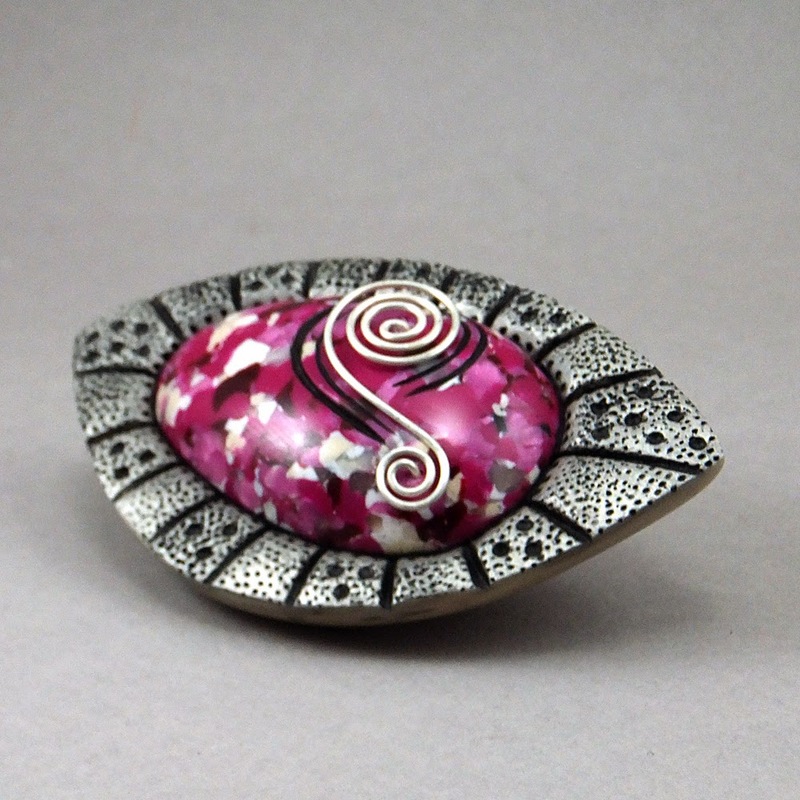 So, I created an egg-shaped fantasy stone in pinks, took a slice and "set" it in an all-polymer bezel. Texturing, carving and a bit of antiquing completed this brooch. Finally, a bit of coiled silver wire and mica powder add BLING!